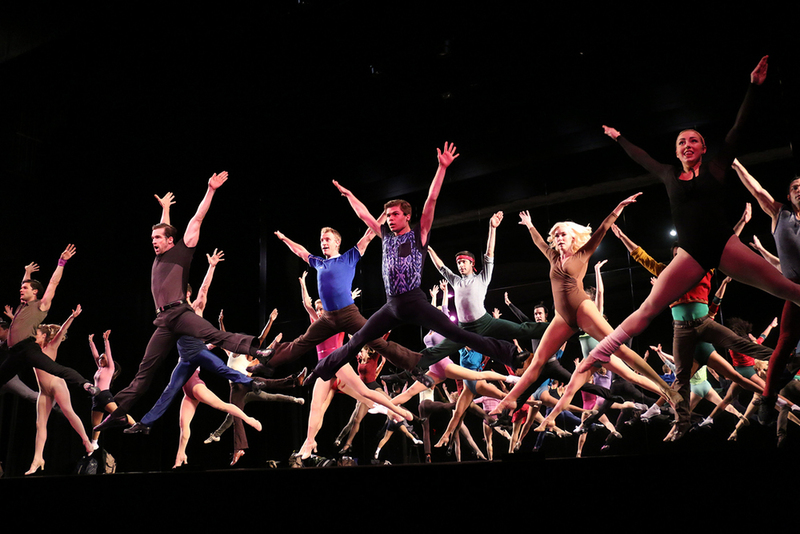 Winner of nine Tony Awards, including Best Musical, and the Pulitzer Prize for Drama, A Chorus Line is one of the longest-running musicals in Broadway history. This stunning musical follows a group of Broadway dancers, known as gypsies, as they strive to get cast in a Broadway show by laying their talent and life experiences on the line during an audition. Filled with compelling drama, exceptional dance and featuring a superb score by Marvin Hamlisch with such classics as “I Can Do That,” “What I Did For Love,” “ At The Ballet,” and “One”, A Chorus Line truly is a singular sensation. When A Chorus Line opened at the Shubert Theatre on Broadway on July 25, 1975, it became an unprecedented commercial and critical hit. With 6,137 performances, A Chorus Line was the longest-running Broadway musical when it closed in April 1990. It was surpassed by Cats in 1997, but is still one of the longest-running shows in Broadway history. The musical was formed from several taped workshop sessions where dancers shared their experiences of auditioning and performing. Originally hosted by dancers Michon Peacock and Tony Stevens, the first taped session occurred in January 26, 1974. Michael Bennett was invited to join the group, but quickly took control of the proceedings. 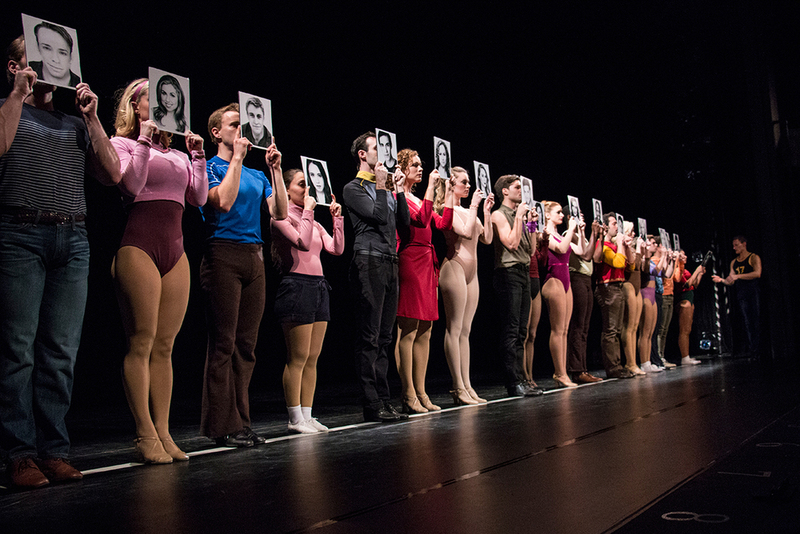 A Chorus Line opened Off-Broadway at Joseph Papp’s The Public Theater on April 15, 1975. At the time, the Public did not have enough money to finance the production so it borrowed $1.6 million to produce the show. Directed and choreographed by Bennett, the show created such a stir of anticipation among the theatrical community that the entire limited run sold out long before opening night. Demand for tickets was such that the show moved uptown to Broadway's Shubert Theatre, where it remained for fifteen years. Revenue from the many worldwide productions, both professional and amateur, has been a steady source of income for The Public. The Public has served as a launching pad for many successful Broadway shows. Fifty-four productions that began life at The Public have moved on to Broadway including: That Championship Season; The Pirates of Penzance; Bring in ‘da Noise, Bring in ‘da Funk; The Normal Heart; the 2015 Tony Award-winning Best Musical, Fun Home, and Broadway’s newest sensation, Hamilton. Press Journal & TCPalm.com "Riverside Theatre’s latest production spotlights nerve-wracking experience of pursuing a dream"
Florida Theatre on Stage "Thrilling A Chorus Line Step Kicks Into Riverside Theatre"
Press Journal & TC Palm.com "A Chorus Line is a real Winner"
Justin is excited to make his Riverside Theatre debut! Justin is honored to be performing with this talented cast and crew in one of his dream shows! Justin has trained at Steps on Broadway and Maxtheatrix in NYC. Past credits include: Baby John, West Side Story (The Fireside Theatre), J. Pierrepont Finch in HTS, and The Cat in the Hat in Seussical. Justin would like to thank his family and friends for their constant love and support! For my loving Roses. Break legs everyone! Tom is thrilled to make his Riverside debut. He performed on Broadway in the revival of A Chorus Line (Greg, Zach u/s) and in The Addams Family (Ancestor, Lurch u/s). 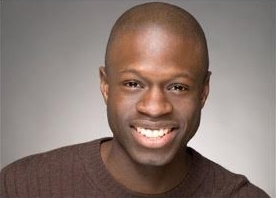 He also toured with the Tony Award-winning production of The Normal Heart (Craig/Grady). Most recently he appeared in the acclaimed production of Bent at the Mark Taper Forum. Other credits: Happy Birthday! (The Actors Company Theatre), Efficiency (SCI-FEST LA), The Face in the Reeds (Ruskin Group Theatre), West Side Story (Portland Center Stage), High Button Shoes (Goodspeed Opera House). Film/TV: “Looking,” Disney's Enchanted, “Royal Pains,” “Partners,” The Aspect Ratio, TED 2 and the forthcoming short film Breaking Fast. He received his BFA from the University of Michigan. Thanks to Mitzi and Riverside theatre for this great opportunity! Lindsey is thrilled to be performing in A Chorus Line again! She played Vicki (and went on as an understudy for Sheila) in the Networks’ touring production in Tokyo, Japan. She recently concluded Mary Poppins this summer at PCLO, playing the title role! National Tours - Mary Poppins, (Mary cover, perf), Oklahoma! (Laurey), A Chorus Line, The Wizard of Oz. Regional- Mary Poppins (Mary) at Music Theatre of Wichita and Walnut Street Theatre, Oklahoma! (Laurey), Singin’ in the Rain (Kathy cover, perf), …Forum, (Philia) Steel Magnolias (Shelby). Many thanks to Mitzi, Riverside Theatre, Harden-Curtis and my mom, dad and Jason. Christian Bufford* (Butch) Riverside debut! National tours: Nice Work If You Can Get It (dir. Kathleen Marshall). Regional: West Side Story (Indio) at the John W. Engeman Theatre; Smokey Joe’s Cafe (Swing) at Stages St. Louis; The Donkey Show at American Repertory Theatre (dir. Diane Paulus). Boston Conservatory graduate. A huge thanks to Wojcik/Seay casting, Bloc NYC and his amazing friends and family. Find me on Instagram/Twitter: Chrisdenzel. Brian is happy to be part of this legacy again after touring nationally with A Chorus Line in 2012. Having made magic on the ocean blue with Disney Cruise Line as dance captain/swing for the last two years, his stage credits now include four “lines” and he thinks that’s rather funny. Other: Assistant Choreographer for Single Wide at NYMF. B.F.A. Boston Conservatory. Thanks to The Price Group and Nathan for all the love and support. Meaghan is so excited to make her Riverside Debut! Regional: A Chorus Line (Val), Grease (Patty Simcox), Seven Brides (Alice), Memphis, Bye Bye Birdie, The Music Man. Meaghan is a graduate of Point Park University. A huge thank you to Mitzi, Jessica, and everyone at Riverside. Love and thanks to Mom, the best family, and Nick. For Dad. Robb is thrilled to be making his Riverside debut in this amazing show. Robb has been lucky enough to perform this role under the direction of Mitzi before. He has also been seen Off-Broadway, around the country, and in Canada in 42nd Street, Damn Yankees, Chicago, George M!, H2$, Singin’ In the Rain, Hello, Dolly!, Living In a Musical, Fireside Christmas and many more. Huge thank you to Mitzi and Riverside Theatre for this wonderful opportunity. All my love to Mom, Kay, and Ms. Suzanne for all your support. Samantha is excited to be joining the cast of A Chorus Line. 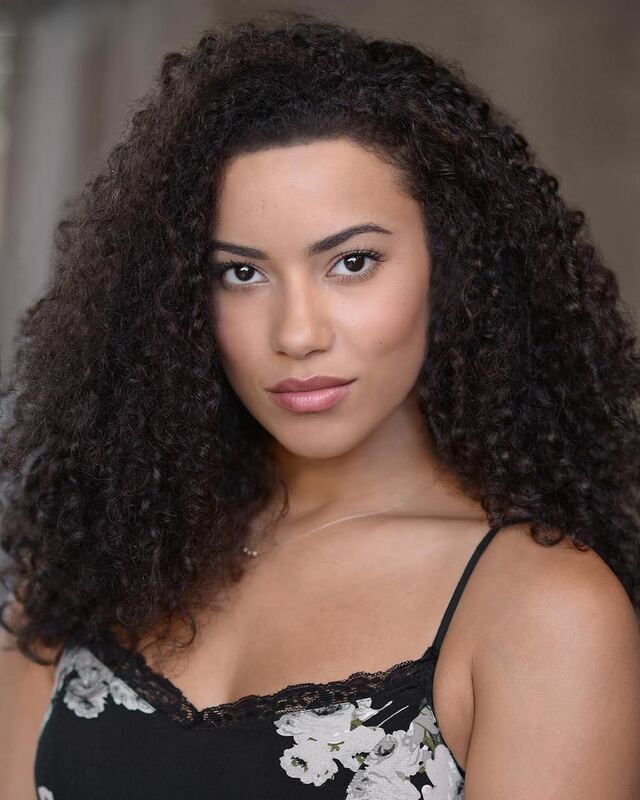 Samantha is a recent college graduate from Pace University in New York, graduating with a degree in Musical Theatre. She was most recently seen as Pansy in Poodleful (Riverside Children's Theatre). 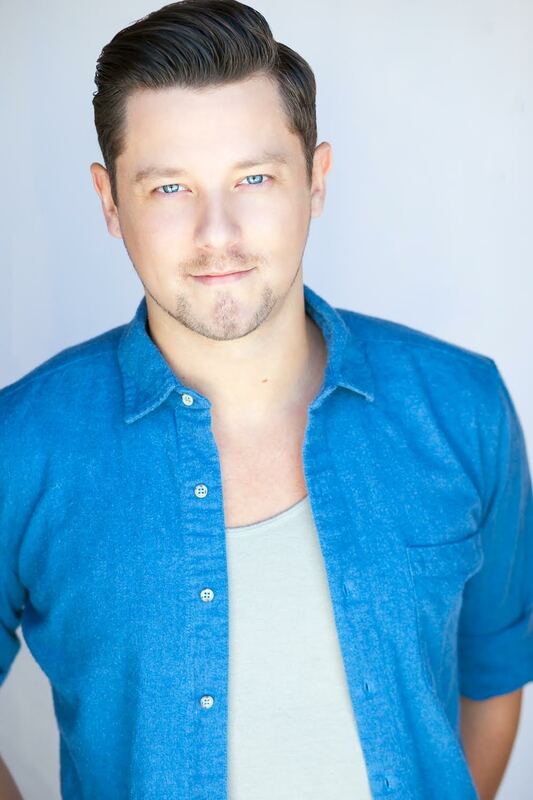 Other past credits include: Our Time: A Graduation Mixtape (54 Below), The Pajama Game (Ann), Great Wall (Michelle), Little Miss Fix It (Neptune), West Side Story (Maria), and Hatched: New Works in New York (Joe's Pub). Love and thanks to Mom, Dad, and Ethan for all their unwavering support! Elliot is thrilled to be making his professional debut as one of his dream roles! NY: Oh, Kay!. Regional: Sweet Smell of Success, Legally Blonde, The Music Man (Ewart Dunlop), and Spamalot (Sir Bedevere). Recent graduate of Millikin University. Endless amount of gratitude to his number one fans, Mom and Dad, and his support system back in the city. Scott Shedenhelm is grateful to be returning to Riverside Theatre after a year of performing West Side Story that all started right here in Vero Beach. Regional credits include Newsies! (Papermill Playhouse), The Music Man (Arena Stage), and The Little Mermaid (NSMT). Scott is honored to be a part of this production, to tell this story, and to show you the day to day of an actor auditioning in NYC. Thank you to the creative team, the Riverside family, Wojcik & Seay, my family, and Adrienne. Ladle. Donald is excited to be making his Riverside Theatre debut! Bill T. Joes/Arnie Zane Dance Company (Principal). National tours: La Cage Aux Folles (Chantal), A Chorus Line (Richie), Hairspray (Thad), GENDEROSITY (creator/writer/performer). TV/Film: Music Video: All Night (Emcee) ICONA POP. Her most recent credit includes Laurey in Susan Stroman's Oklahoma! at the St. Louis MUNY. National Tour: Reuben’s Wife in Joseph and the Amazing Technicolor Dreamcoat, directed by Andy Blankenbeuhler. Regional: Lyric Opera of Chicago, Goodspeed Opera House, Fort Wayne Philharmonic, and Lyric Stage. Education: BFA, Cincinnati College-Conservatory of Music. A Texas native, she started her artistic career as a principle dancer with the Dallas Metropolitan Ballet. She recently was a finalist in the Kurt Weill Foundation’s 2015 Lotte Lenya Competition. Special thanks to family, friends, teachers, and CTG! Bronwyn is excited to be doing A Chorus Line again! Previously she played Maggie in a National Touring production and at North Carolina Theatre, and Bebe at Pioneer Theatre Company. Other credits include Oliver! at Paper Mill Playhouse; Smokey Joe’s Café (Delee), Anything Goes (Virtue), They’re Playing Our Song, and How To Succeed In Business Without Really Trying at STAGES; Kiss Me Kate at Westchester Broadway Theatre; and Grease, Hairspray and Disney’s The Little Mermaid at Tuacahn. Bronwyn earned a BFA in Music-Dance-Theatre from Brigham Young University where she played Peter in Peter Pan. Happy to be spending the winter in sunny Florida! Nick is cosi eccitato to revisit this iconic show. Favorite credits include A Chorus Line (Al, nat'l tour), Saturday Night Fever (Double J/u/s Tony, int'l Asian tour), The Light In The Piazza (Giuseppe/u/s Fabrizio, Rabbit Run). Spot him in Paramount Picture's '11 film Fun Size (Jonathon) or as Axe Body Spray’s “The Attendant.” Tante grazie to the incomparable Mitzi, the Luedtke Agency, mom, dad, Dom, and Vin, and Liz and Matthew. Proud AEA member. Follow on Insta: nick_varricchio. Kelsey is so excited to be making her debut at Riverside Theatre with one of her favorite productions and director Mitzi Hamilton. Favorite Regional credits include: Wednesday Addams in Addams Family, Penny Lou Pingleton in Hairspray, Mary Lou in Buddy Holly, Bebe Benzenheimer in A Chorus Line. Other Regional productions: Billy Elliot, Little Mermaid, Legally Blonde, and Annie. Kelsey would like to thank her family and Elliot for all their love and support. Michael is ecstatic to return to the Riverside Theatre! New York: All That Glitters. National/International Tours: Spamalot, Fame, Grease. Regional: Spamalot at Geva (Bedevere/Mother/Concorde/Mayor), West Side Story (Riff/Dance Captain) and On The Town at Finger Lakes MTF (Ozzie), Grease at Riverside/Walnut Street (Kenickie), Hello! My Baby at Goodspeed (Dickie the Duck), How to Succeed... at Riverside/Walnut Street (Jenkins/Frump US), Mary Poppins at Walnut Street (Von Hussler/Bert US), A Chorus Line at The Engeman (Don, Zach U/S), Joseph and... at Ogunquit and NSMT, others. Forever for my mother, JG, CD, CB. BSU grad.